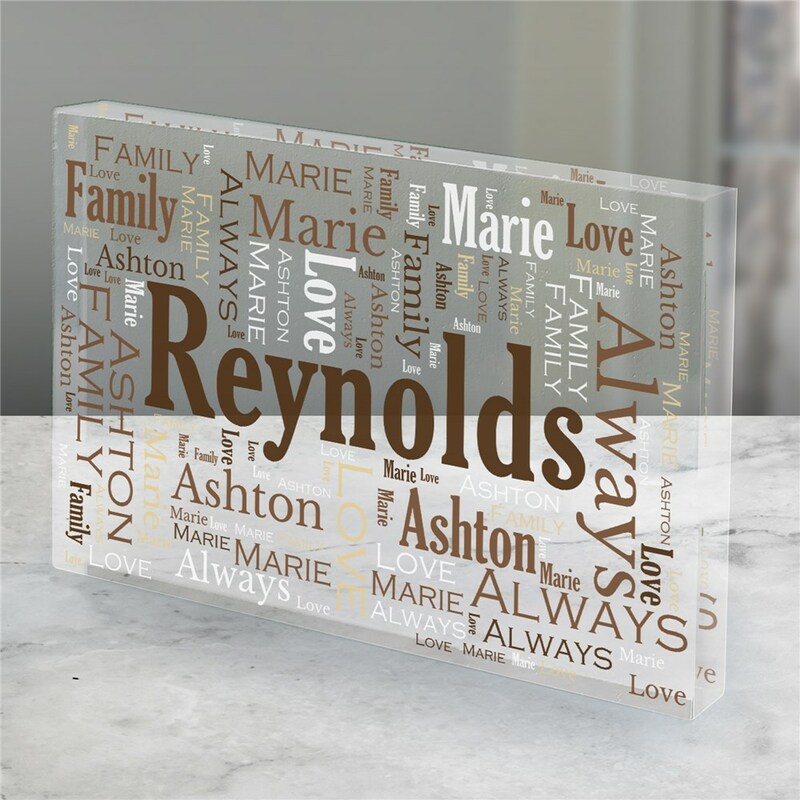 We will print a one of a kind word art design filled with names of the people you love on this personalized keepsake (printed in your choice of colors!) any one will love to display. When creating your word-art portion of this Father's Day keepsake using our proprietary design tool, if you would like to see another rendition of your word art design simply select the View Your Personalization button again. This will automatically create another version for review. I wasn't sure what to expect from this, but I was pleasantly surprised. I got this as a gift for a friend and included his profession of music, friends and family. Makes a nice work station decoration, or anywhere really. This is my second of three orders from this company just this year. Very cute. Just as ordered.